Nearly 10% of Europeans can trace their maternal ancestor to Haplogroup T. The haplogroup spread into Europe with the early farmers from the Near East. If you belong to subclade T2, please also join the T2 project. If you belong to subclade T1, please also join the T1 project. If you are defined as T only, please also join the T mtDNA other (not T1 or T2) project. mtDNA is inherited strictly through the direct maternal line, through women only. To learn more about the origins of the various subclades of mt-haplogroup T, it is important that all T-members fill in their ancestral information under Plot Ancestral Location. Enter full name, appr years of birth/death, place, county and country. If unknown because of adoptions or other, please explain under "maternal ancestor" in "User Preferences". Also note that your direct maternal ancestor is the name of your mother's mother's mother etc, through a female line only - it is always a woman. Please also plot the location of this direct maternal ancestor on the map. We will be updating the "country of origin" if entered in your user information on the mtDNA results webpage. If you have questions, feel free to contact the group administrators. Phylotree is an overview of all defining mutations for mtDNA. There is a Facebook mtDNA T-discussion group where anyone can sign up, share and ask questions. From early 2008 until December 2010, this project operated as a formal research project, with a goal of developing a FMS-based phylogeny for mtDNA haplogroup T. This mission was fulfilled with the publication of a manuscript in the Fall 2010 issue of the Journal of Genetic Genealogy. Now that this journal article has been published, we will be transitioning this project into a more traditional genetic genealogy project, without a formal research mission. Pike DA, Barton TJ, Bauer SL, Kipp E. 2010. "mtDNA Haplogroup T Phylogeny Based on Full Mitochondrial Sequences". Journal of Genetic Genealogy 6 (1). Have you done the Full Mitochondrial Sequence (FMS)? Are you still “just” T, T1, T2 – or other udefined groups? Maybe no one has done any research on just your specific mtDNA mutations yet. For the scientists to evaluate all possible SNPs found in your sequence and define new haplogroups/subclades, they need access to more data. Everyone with a Full Sequence test (FMS, FGS, Full, “Mega”) can donate resultats to GenBank and contribute to research. You need to log in and download your mtDNA results as FASTA-file. Send it to Ian Logan, who will help you to continue the process. Detailed description here: Ian Logan's website. 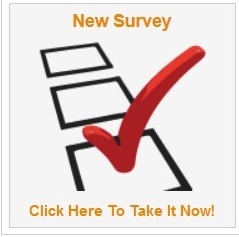 Testers who have done the mtDNA full sequence test (FMS) at FTDNA are asked to fill in a “New Survey”. Fill in countries of origin, languages etc for your ancestors. If you already donated to GenBank please also fill in GenBank accession number. Then they ask permission to use your results in research of new haplogroups, and to be allowed to release your sequence with national origin to the public GenBank database. This happens if they use your sequence in a future scientific paper. You will contribute to the discovery of further subclades of mt-DNA. Results will be accessible to researchers worldwide. Your results are anonymous, only the contact person at GenBank/FTDNA will know who you are. Behar et al published a paper in 2012 based on donated sequences. Read more at mtDNA Community. Look for this symbol in your account.